The Sturdy HDMI Over CAT5 Extender can also be split with an Ethernet switch and sent to dozens of more TVs with the above optional receivers and Ethernet switch. This HDMI Over CAT5 Extender sends a 1080p FULL HD HDMI signal up to 330 feet over a single CAT5 cable without any video loss and time delay...and in hostile environments. This HDMI Over CAT5 Extender not only can work as other normal HDMI extender by CAT5/6 cable up to maxim 150 meters, but also can transmit HDMI data over local network. The data could be transmitted over switch, router and other ethernet device, and extend the transfer distance to over 20km. 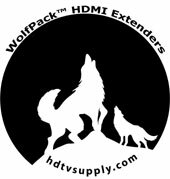 The WolfPack HDMI Over CAT5 Extender also works in a broadcast mode, like an HDMI splitter, and sends HDMI signals from one sender to multiple receivers (TVs). 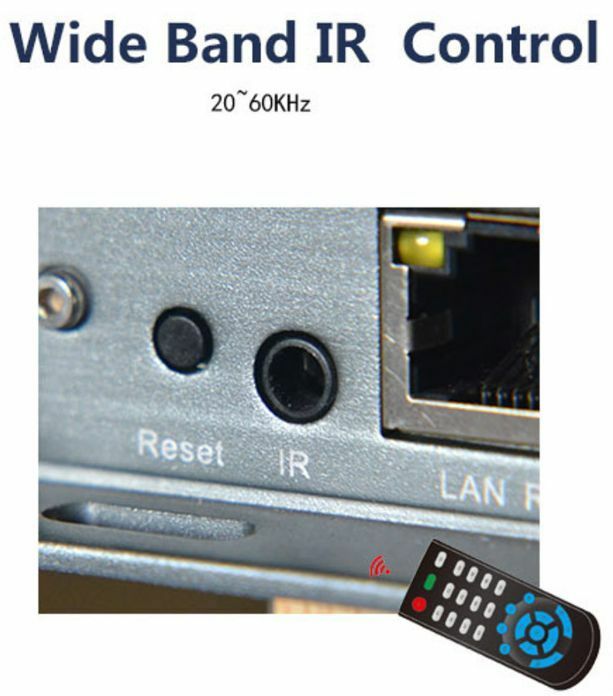 The HDMI Over CAT5 Extender supports sending an IR remote control signal from the receiver side to the sender side which then could be used to control HDMI source devices. 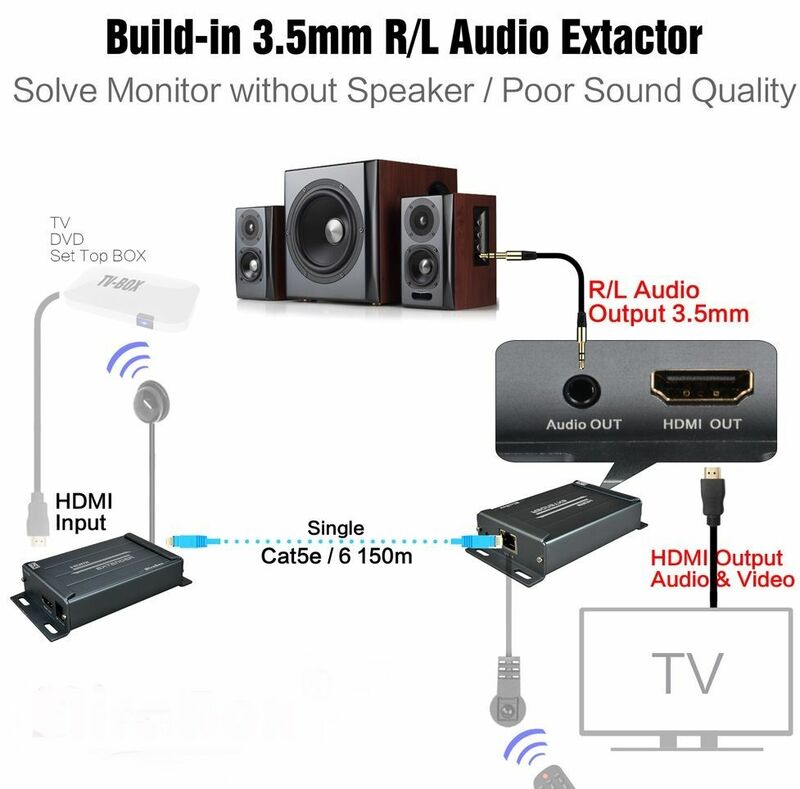 It also has an HDMI audio extractor that extracts the stereo audio from HDMI signal and outputs it via 3.5mm jacket at the receiver end to go to an amp or powered speakers. NOTE: Rugged HDMI Over CAT5 Extender with Separate Audio & IR only supports 480p, 720p or 1080p progressive signals so set your source device to one of those resolutions. These adapters do not work with 480i or 1080i source resolutions or 480i or 1080i displays or any interlaced (i) device or any other resolution like 1280x1024, etc. The units are not waterproof and must be protected from any water getting on them. 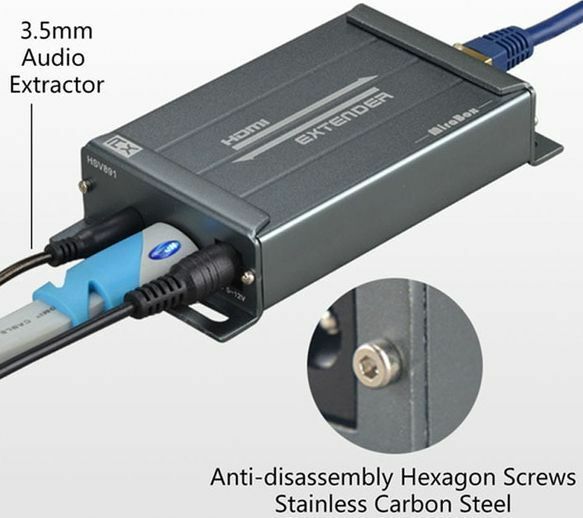 Why not buy this Rugged Rugged HDMI Over CAT5 Extender with Separate Audio & IR today? Why not buy this Rugged HDMI Over CAT5 Extender with Separate Audio & IR today?